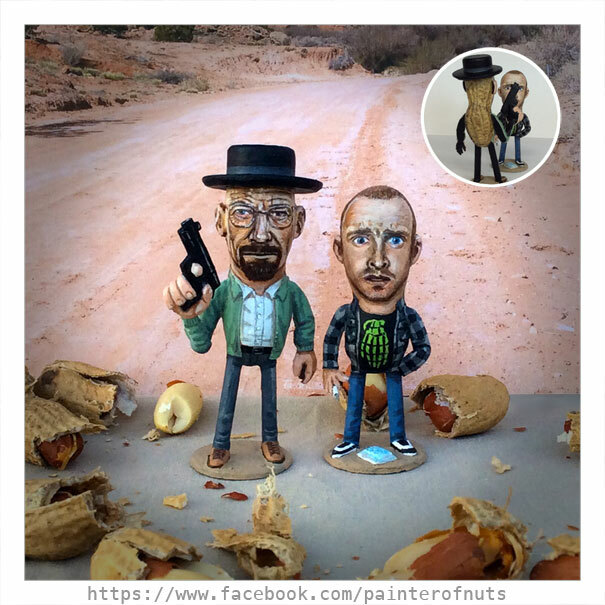 How did you first get started making portraits out of peanuts? My first peanut portrait was of myself. It was originally a joke. As a cartoonist, I made quick sketches of myself and coworkers on peanuts. Why peanuts? Why miniature portraits? Peanuts are my favorite snack. But it’s also fun because it uses all of the skills I’ve acquired through life and work experience. Nothing wasted. Dioramas and miniatures are used in the field of architecture to preview a vision, in cinema to create a fabricated world, and in workshops as a means for children to process traumatic events. Feel Big Live Small explores dioramas and miniatures as well as our fascination with all things small, both as a technical feat and a psychological relationship.